What Mike Davis and Grant Peterson have accomplished with Born - Free has been inspiring to watch from the sidelines. They have focused on creating the best one day event and hit it out of the park every year. No matter how big the show gets, they stayed true to their main goal; for everyone to have a good time and feel welcomed. In my opinion, this was the biggest show to date. It was great watching families, young and old, spending the day together. 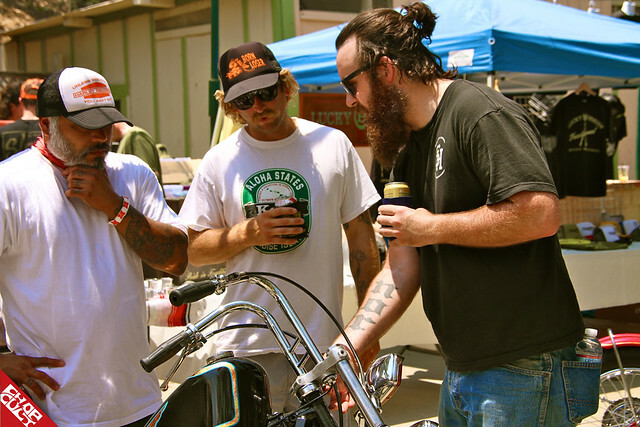 Egos and attitudes were left at the main gate and the common bond for motorcycles was in full force. It didn't matter what make or model you preferred, there were hundreds to admire. You also had the opportunity to meet and speak to many well known individuals and brands within the industry, also connecting with your “friends” from your social media community. I had the pleasure of manning the Chop Cult booth all day. I can’t complain as I was in the shade and out of the heat. This was Jessie's first time covering an event for us and she killed it. It’s really hard to shoot every bike, vendor booth and crowd but I feel Jessie captured the essence of Born Free 5. Go grab a cold one, sit back and enjoy! I am still waiting for the "official list" of winners but do remember some. Best Knucklehead: Show Class People's Champ winner, Bobby Good Times. Best Flathead: Jason Sheets' 1931 Harley VL who's bike was also picked by the ticket winner Ryan Hagger of Murrieta. The ticket, number #1154, was sold through Lowbrow Customs. Best Chopper: Kouske from Sunrise Cycles. I would like to thank Mike and Grant for their hard work, the shade and allowing us to be one of their main sponsors. Big thanks to everyone that took the time to visit our booth! Your kind words and ongoing support means the world to us! I would also like to thank Biltwell Inc for donating the Large DOT Gringo Helmet and to Pete 'Hot Dog" Finlan for his time and talent. The helmet was won by Boosted Brad of TN. I’m sure we missed something so make sure you grab an upcoming issue of Dice Magazine, Street Chopper, Hot Bike, Cycle Source, Iron Works, The Horse, Wrench, Show Class Magazine, Lowside and Rolling Heavy Magazine. THANK YOU LISA FOR ALWAYS BEING ON OUR SIDE. Great bikes, great crowd, and the great photos captured it all, well done! Thankyou Mike and Grant for all your hard work! what an amazing day! If you miss this show then your really not into motorcycles....PERIOD! Thanks again to everyone in the BORN FREE camp for making this possible. 2.5 hours to drive 3 Miles. I could have ran that in distance in 1... not taking into consideration the 99 degree weather. Awesome show once again! 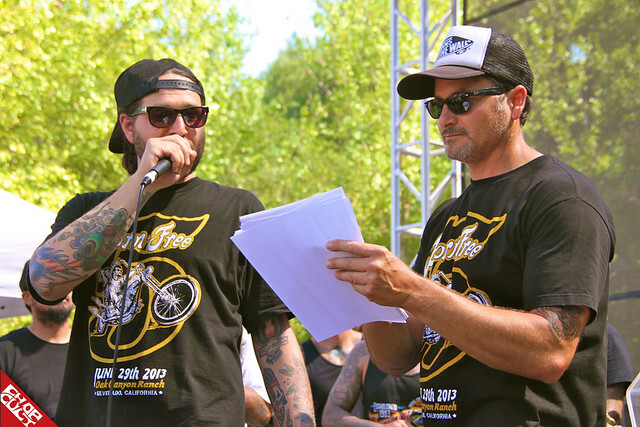 Thanks to Mike and Grant and all the other people that helped make Born Free a reality! Can't wait for BF6!